Illustrations by Kelsey WalkerFirst there was “BlackBerry thumb,” then came “text claw” and “iPad hand.” Now the latest tech-related ailment to hit smartphone addicts is “selfie elbow,” which comes as no surprise given that the average millennial could take more than 25,000 selfies during their lifetime. No matter your device of choice, the cause of pain and discomfort remains the same: Repetitive stress injury. Since chances are you aren’t willing to give up Snapchat and Instagram selfies, some tips, tweaks and wrist-strengthening exercises can allow you to snap away while preventing the onset of pain or injury. It’s not that your smartphone is too heavy, it’s that the awkward angle of your wrist while you take a selfie can lead to injury. The constant over-flexing or over-extending (ulnar and radial deviations) during the course of days, weeks, months and years will eventually take its toll. Maintaining a neutral, anatomical wrist position (no bending or twisting) will better support the weight of your phone, but since it’s pretty much impossible to take a selfie without ulnar and radial deviation, a selfie stick can be a good ergonomic investment. If you’re already feeling the effects of over-selfieing, the best way to offset wrist issues is to stop the mechanism of injury. Stop taking selfies. The next best course of action is to manage the amount of times the mechanism of injury is performed. Cutting back on the amount of selfies you take, having friends and family shoot photos of you, or using a selfie stick can help mitigate the repeated micro-trauma, reducing the chance of injury. 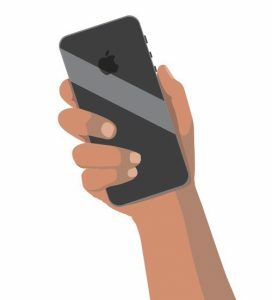 Don’t grip your device at awkward angles or hold the phone in extreme physiological end-ranges of the wrist, the points where the wrist simply won’t bend or flex any further. 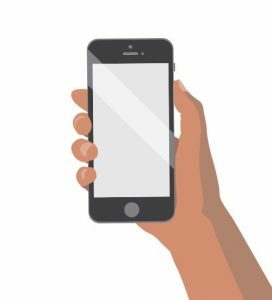 If you’re holding the phone and the position feels strenuous, you’re probably in that end range and need to reposition your wrist. The danger is wrist ligament overloading. This could potentially mean a rupture, leading to pain and immobility. Moreover, it could pre-dispose you to other wrist conditions such as carpal tunnel syndrome. The next course of action is to stretch the forearm flexors and extensors—the back and front parts of the forearm. This musculature controls all movements at the wrist, hand and fingers. Keeping this area loose and mobile with stretches makes the muscles more able to withstand the forces of extreme end-range wrist positions. All movements at a joint are controlled by the muscles above the joint. So, all movements at the wrist and fingers are controlled by muscles located in the forearm. Wrist curls will strengthen the forearms. Rest your forearms on your legs with a 90° bend at the elbows and your palms facing up. Curl anywhere between 10 to 15lbs (don’t go too heavy) for three to four sets of 12 to 15 reps with your wrists, gripping the bar or weights in your hands. Let’s not forget the instrumental digit that captures a snap–the thumb! 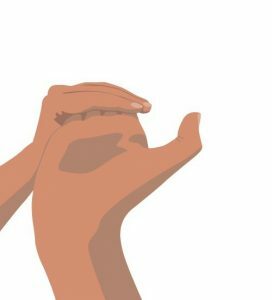 Thumb motion is a quintessential biomechanical and biological motion that helped separate us from other animals, spurring humans as a species on to the technological marvels we create today. 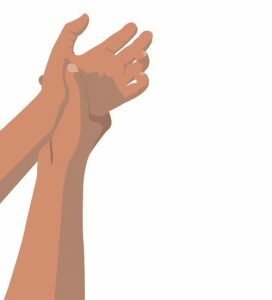 Simple thumb motion is key for day-to-day life. Imagine what you wouldn’t be able to do without your thumbs. The simple act of turning a key or gripping the doorknob would be impossible. The meaty area of the thumb needs to be massaged to keep up mobility in the thumb. If you take a lot of selfies, this would be ideal for daily practice. 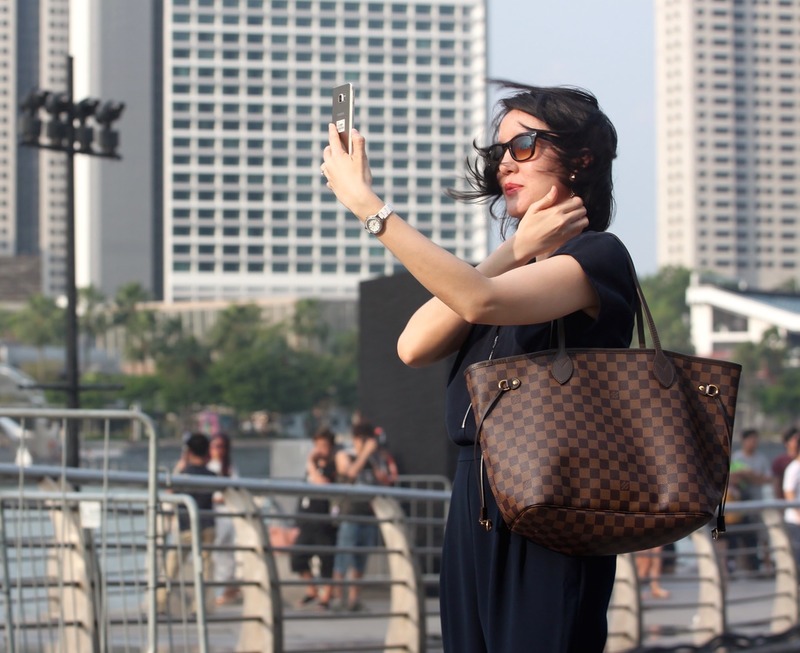 Stronger forearms, wrists and thumbs means taking selfies will be more biomechanically sound. The only question left is: What filter to use?